I saw homemade chocolate syrup online and figured, No, this can’t possibly work. But it does. I stopped buying Hershey’s Chocolate Syrup because of the high fructose corn syrup which is like the first or second ingredient. 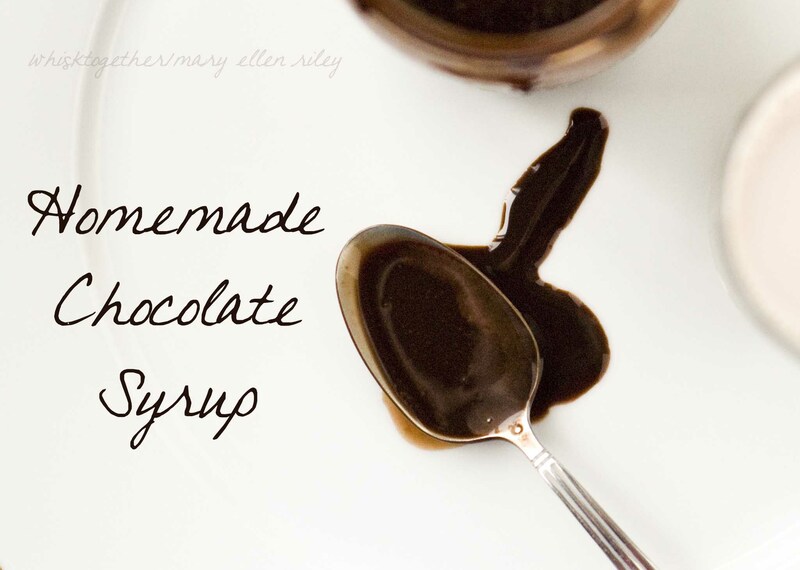 I have another recipe from “Baked: 10 Simple Ingredients” for homemade chocolate syrup if anyone wants to try it out. I’ll post that one below as well. I haven’t made anything from their recipe books as of yet, so I can’t tell about their reliability. I’ve noticed that some restaurants that make “at home” cookbooks change the recipe drastically when making it at home. The Verdict: We all LOVED it. William thought it made awesome chocolate milk. 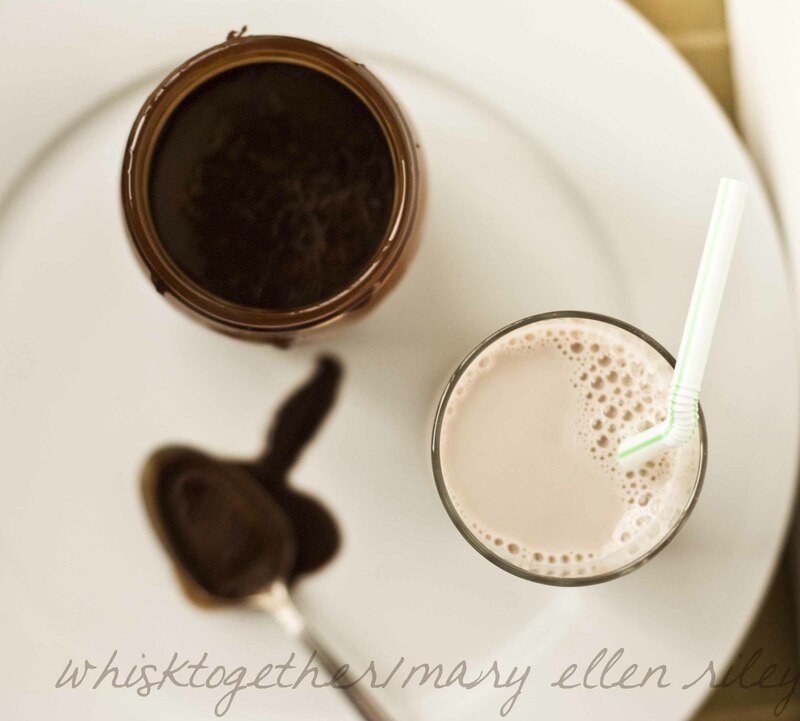 I don’t think I could eat with a spoon (I don’t care much for chocolate a lot anyway), but thought it was delicious on our vanilla ice cream or anything else we could dip into the homemade chocolate syrup. Why make it? Well, you won’t have nasty stuff in your syrup. It is SLIGHTLY cheaper to make your own. If you use good quality cocoa, you break even. If you use cheap, Aldi cocoa powder, then you’ll save about $1. *Update* Per one reader, this is 34 calories per tablespoon per myfitnesspal.com – which is a lot less than Hershey’s. It is more than the sugar free version, but that one has a ton of preservatives. 1. Put your saucepan on the stove and dump in the sugar, cocoa and salt. Mix that up a bit. 2. Add your water. Stir. 3. Boil the mixture and stir once in a while while it comes to a boil. 4. Turn it down to medium/medium-low and cook 1 minute. It should be at a simmer. 5. Take the pot off of the burner and add the vanilla. Cool and put in the fridge. yum, I think this is great. That’s why I make as many things from scratch as I can. Thanks for your posts. I’ve been making this exact recipe for probably a year now and keep it in a squeeze bottle in the fridge. 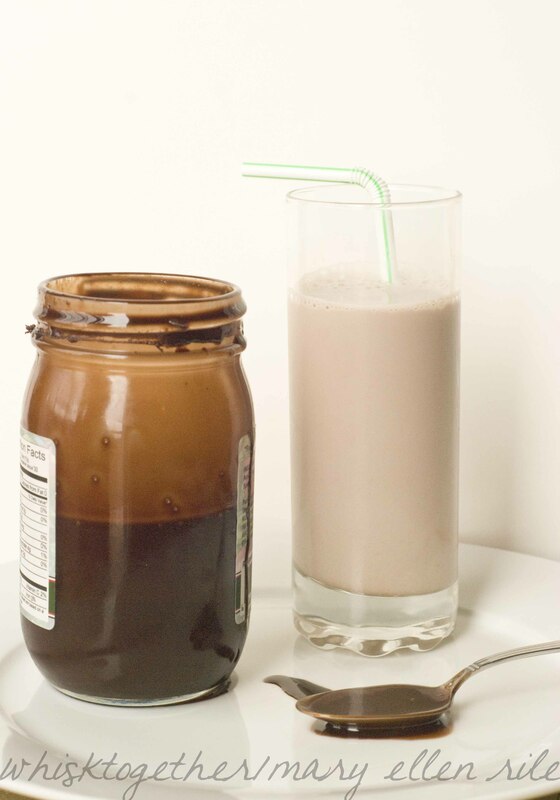 It’s been great substitute for Hershey’s – we use it for chocolate milk mostly, but also for anything that needs some chocolate syrup. This is sooo good! I made it this morning and stirred some into my coffee.